← What is the Kingdom of the Ten Kings? The teachings of Fr. Ryan Erlenbush, at his blog The New Theological Movement, frequently contradict the teachings of the Magisterium. A faithful teacher of Catholicism will always teach from Sacred Tradition, Sacred Scripture, and the Magisterium. But many unfaithful teachers plague the internet, making false claims about what the Magisterium teaches, or ignoring magisterial teaching altogether. Fr. Ryan is one such false teacher. His blog contains numerous posts teaching abject heresy as well as rather foolish doctrinal errors, all presented to the reader as if these were either magisterial teachings or sound theology. Here is a summary of his more prominent doctrinal errors and heresies, along with links to his posts and to my articles refuting his errors. I will summarize some of his errors below by comparing what he teaches to what the Magisterium teaches. 3. Fr. Ryan claims, in several posts, that unbaptized infants and prenatals, who die before they reach the age of reason (about 7 years of age), are sent to a part of Hell called the Limbo of Hell, where “there is no punishment” and the souls there are “very very happy and perfectly fulfilled (naturally).” His view is that: they have original sin; they do not have the state of grace; they are eternally separated from their family members in Heaven; but they are very very happy, do not know Heaven exists, do not know they are in Hell, and, despite original sin and the absence of the state of grace, supposedly know and love God. He claims that there may be billions of souls in the Limbo of Hell. To the contrary: Sacred Tradition, Sacred Scripture, and the Magisterium have always taught that Hell is a place of eternal punishment. This teaching is universal in Tradition, Scripture, Magisterium. There are no magisterial teachings and no passages in Sacred Scripture indicating that Hell can be a place of eternal happiness and perfect fulfillment. This type of constant definitive teaching of the Magisterium on a matter of faith or morals falls under the infallibility of the ordinary and universal Magisterium. The teaching that Hell is a place of eternal punishment is therefore an infallible teaching of the Magisterium. And its obstinate denial is heresy. 4. Fr. Ryan claims: that original sin is passed on to each successive generation only through the father, not through the mother. What if, unfortunately, a human person is conceived by cloning from a woman only? Fr. Ryan then claims that the child would not inherit original sin from the woman, but from the scientist who performs the cloning, even though that scientist is not a biological parent. This claim is absurd and heretical. 5. Fr. Ryan claims that all wealthy persons are thieves who are guilty of mortal sin. Sacred Scripture teaches that Joseph of Arimathea was “a good and just man” (Lk 23:50), but also “wealthy man.” Moreover, the claim that the mere possession of wealth constitutes the mortal sin of theft is contrary to the teachings of the Magisterium on ethics. Sin is an act; owning wealth is not an act. The Magisterium has NEVER taught that being wealthy is itself a type of theft and a mortal sin. 6. Is Jesus the Way, the Truth, and the Life? Fr. Ryan claims that Jesus is only the Way in His human nature, and only the Truth and the Life in His Divine Nature: “Jesus is not the Way according to his divinity” and “in his humanity, Christ is not our salvation”. 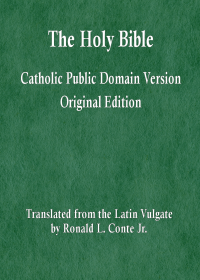 In this regard, John Paul II has explicitly declared: “To introduce any sort of separation between the Word and Jesus Christ is contrary to the Christian faith… Jesus is the Incarnate Word — a single and indivisible person… Christ is none other than Jesus of Nazareth; he is the Word of God made man for the salvation of all… In the process of discovering and appreciating the manifold gifts — especially the spiritual treasures — that God has bestowed on every people, we cannot separate those gifts from Jesus Christ, who is at the center of God’s plan of salvation”. It is likewise contrary to the Catholic faith to introduce a separation between the salvific action of the Word as such and that of the Word made man. With the incarnation, all the salvific actions of the Word of God are always done in unity with the human nature that he has assumed for the salvation of all people. The one subject which operates in the two natures, human and divine, is the single person of the Word. 7. Fr. Ryan claims that Christ is not physically present, nor is He locally present in the Eucharist. Fr. Ryan claims that it is impossible for God to cause a body or a soul to be present in more than one place at the same time. He claims that God cannot do so, not even miraculously. He asserts that Christ’s body and soul are only present in Heaven, and therefore cannot also be locally present in the Eucharist, in all the tabernacles and hosts of the world. This claim is a severe attack on the Real Presence of Christ in the Eucharist and on the omnipotence of God. Fr. Ryan does not believe that the consecration of the priest makes Christ physically or locally present in the host. He also has several posts in which he claims that God cannot do various things, not even miraculously, because such things would be impossible for God. Here is my refutation of that claim. But Fr. Ryan claims that it is impossible for God, even by a miracle, to cause the body and soul of Christ to be present in more than one location at the same time. He thereby denies the real, physical, local Presence of Christ in all the tabernacles and all the hosts of the world. He uses the terms “real presence” and “sacramentally present”, but the meaning of these terms is hollow, because he rejects any type of physical or local presence, and because he holds that it is impossible for God to cause a body or a soul to be present in more than one place at the same time. 8. Fr. Ryan claims that the Sacrament of Anointing of the Sick can only be received if the recipient is physically sick AND spiritually sick AND has committed some past actual sin AND has reached the age of reason. 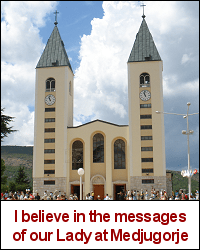 The teaching of Sacred Scripture and of the Council of Trent is contrary to Fr. Ryan’s claims. See my explanation of magisterial teaching here and here. In summary: the Letter of James in the New Testament does not require a certain age, nor attainment to the use of reason, as an essential and unchangeable part of the Sacrament, and neither does the Church. And this is according to the clear and definitive teaching of the Council of Trent. The Magisterium teaches that everyone who dies unrepentant from even one actual mortal sin is sent to Hell — actual mortal sin, not venial sin, and not even an objective mortal sin that lacks the full knowledge and full deliberation needed to be also an actual mortal sin. This teaching of Fr. Ryan — that the failure to repent from even one venial sin prior to death condemns a person to Hell — is abject heresy. This type of claim about the words of Jesus is absurd and perverse; it is a false accusation against the Savior. See my refutation of this false accusation against our Lord in this post Jesus and the Canaanite woman: Divine insult or figure of speech? Fr. Ryan Erlenbush does not teach from the Magisterium, but rather from his own disordered understanding and misinterpretations. He teaches with reckless disregard for magisterial teaching. His teachings are frequently incompatible with, or directly contrary to, explicit teachings of the Magisterium. He teaches several different grave heresies, directly contrary to the infallible teaching of the Magisterium. His teachings on the Eucharist, Confession, and the Anointing of the Sick are gravely disordered and capable of doing much harm to the faithful. His teachings on the impossibility of salvation for prenatals and for unbaptized infants and young children shows a blatant rejection of the magisterial teaching on the universal salvific will of God, on Hell as a place of eternal punishment, and on the nature of sin, grace, and salvation. Gallery | This entry was posted in doctrine, heresies, Magisterium, salvation. Bookmark the permalink.